The varicella vaccine for chickenpox was introduced in the mid-1990’s in the USA and has been associated with substantial and statistically significant declines in incidence, hospitalizations and deaths attributable to chickenpox. 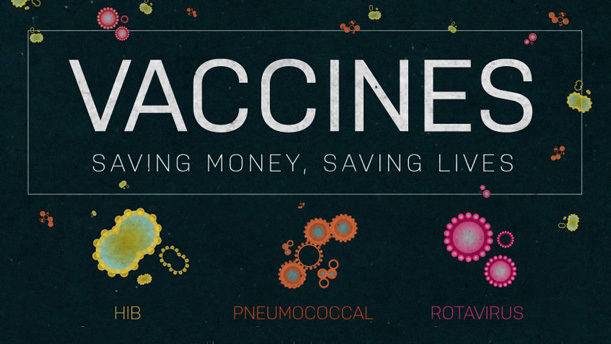 Let’s take a look at the facts – the varicella vaccine has actually lead to a significant reduction in the incidence of chickenpox in children. Vaccine deniers love to say that many (and some say all) vaccine preventable diseases are not dangerous, so why even take a tiny risk of an adverse event with vaccines to prevent these innocuous, harmless diseases. The problem with that belief is that it is simply untrue. The CDC reported last week about a previously healthy 15 year old girl in Ohio who died from a chickenpox (Varicella zoster virus), a disease that is generally prevented by the varicella vaccine. The adolescent girl was admitted to a hospital after three days of a rash consistent with chickenpox with the last day experiencing fever and shortness of breath. The young girls was started on antibiotics and antifungals, to treat any concurrent infections, but she died three weeks later. The girl was current (or close to current) on her other vaccinations, MMR, DTaP, and Hib, but lived in an area that with low uptake of varicella vaccinations. 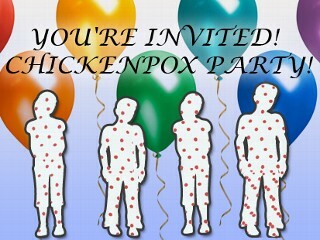 Because deaths from chickenpox are so rare (about 100 people die of chickenpox every year in the USA), but not unknown, the Ohio Department of Health undertook a thorough investigation and concluded that the girl died from chickenpox, and there were no other comorbidities, including leukemia (which might have suppressed her immune system). It was very difficult to read the article. Most of the young girl’s organs failed, and she was in respiratory distress when she died. I cannot imagine being a parent watching what happened over three weeks while she was in the hospital. 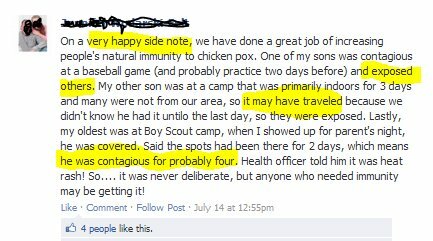 I can only imagine that the parents are beating themselves up over not having her vaccinated. For those parents who are engaging in Pox Parties, where parents deliberately infect their children with flu, chickenpox and other vaccine-preventable diseases, understand that you might be putting your child at risk of dying. Please don’t do it. Centers for Disease Control and Prevention (CDC). Varicella death of an unvaccinated, previously healthy adolescent – ohio, 2009. MMWR Morb Mortal Wkly Rep. 2013 Apr 12;62:261-3. PubMed PMID: 23575238. Chickenpox, or Varicella zoster, is a common childhood disease that can result in fairly serious complications such as encephalitis, pneumonia, sepsis, hemorrhagic varicella, and death. Individuals at especially high risk from complications from varicella are immunocompromised, usually from some sort of immunodeficiency or immunosuppression (usually pharmaceutical treatments for cancers or autoimmune diseases). For immunocompromised individuals, it is important that any individuals around them should be vaccinated against common childhood diseases, whether chickenpox or other diseases (mumps, rubella, etc. ), because the chances of transmitting these diseases is extremely high and the risk of complications are serious. 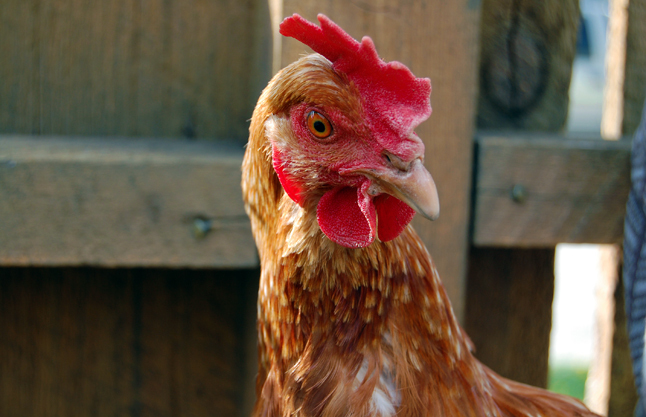 For the past five years, there have been large outbreaks of infectious laryngotracheitis (ILT) in chickens in Australia. ILT is a highly contagious herpesvirus, and one of a group that includes herpes and chickenpox. The chickens become very ill with red and swollen eyes, along with sneezing, coughing and gasping, while occasionally producing a bloody nasal discharge. Mortality is quite high, and surviving chickens produce fewer eggs, which, of course, is very bad for chicken farmers. The Baltimore Sun is reporting that Maryland is proposing revised vaccination regulations that would require incoming kindergartners to receive a chicken pox booster vaccination (varicella vaccine). It is also requiring seventh graders to get a booster against tetanus, diphtheria and pertussis, (DTaP vaccine). 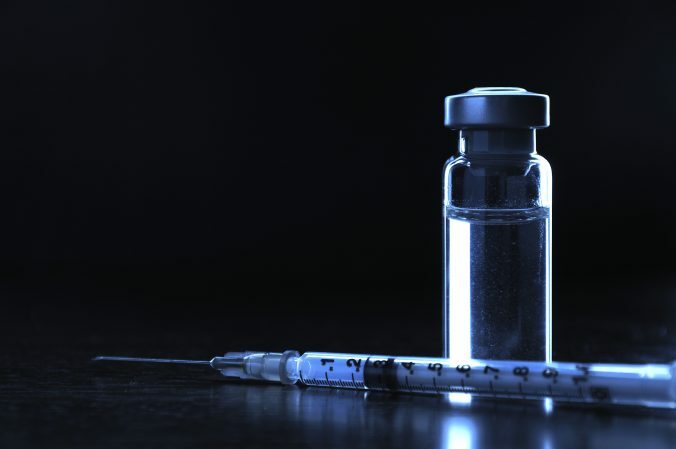 In addition, Maryland also wants to include a vaccine against Meningococcus, a bacterium that causes meningitis, meningococcemia, septicemia, and rarely carditis, septic arthritis, or pneumonia. The state also wants to increase the requirement for the number of MMR vaccinations for measles, mumps and rubella. If the proposed changes go into effect, Maryland would be aligned with standards recommended by the Centers for Disease Control and Prevention’s National Advisory Committee on Immunization Practices. To this date, 36 states have adopted such standards. The new guidelines, if adopted, would to into effect in 2014. The recommendations for these immunizations are not new nationally, this is just updating the state’s requirement to reflect the existing recommendations. It just makes us all look like we’re in alignment with what we’re doing, and it tightens the safety net at schools for kids who may be missing vaccines. 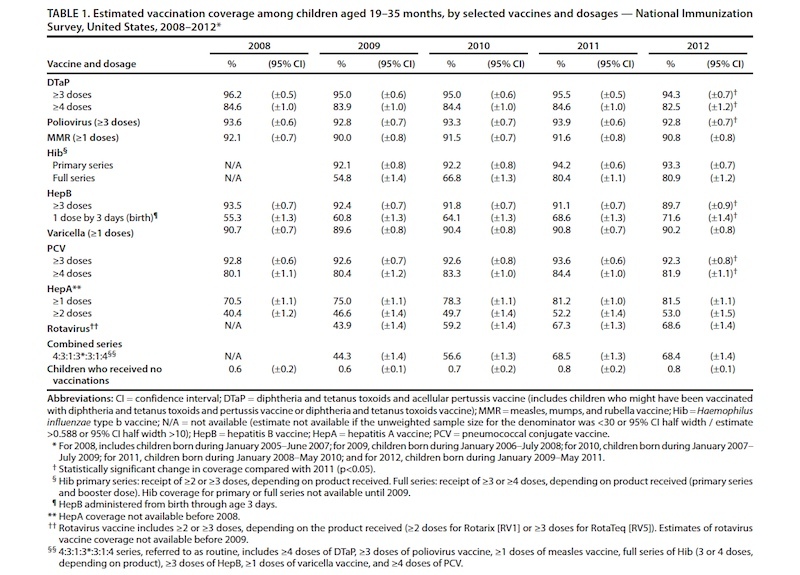 I’m sure the anti-vaccine crowd will be complaining soon. via Maryland proposes additional pertussis, chicken pox booster requirement | Vaccine News Daily.